The best way to help your lost dog find his way home is to make sure he has a microchip. 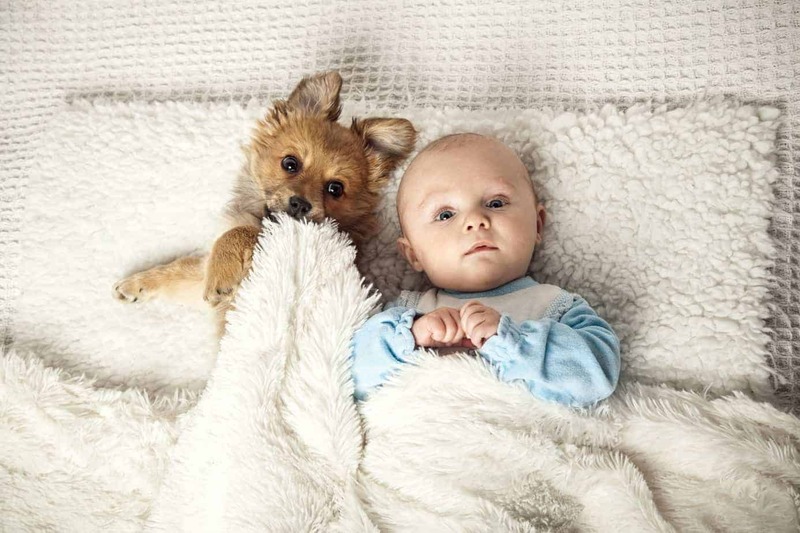 A lost dog with a microchip is 2.5 times more likely to get home safe than one without a chip. And after the microchip’s implanted, be sure you keep your contact information updated with recent photos of your dog and your current phone number and address. 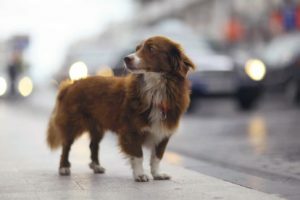 Unfortunately, microchips aren’t a guarantee, and 35 percent of lost dogs with them don’t get home safe because their owners failed to update their contact information. Many owners mistakenly think microchips work like GPS trackers. They don’t. 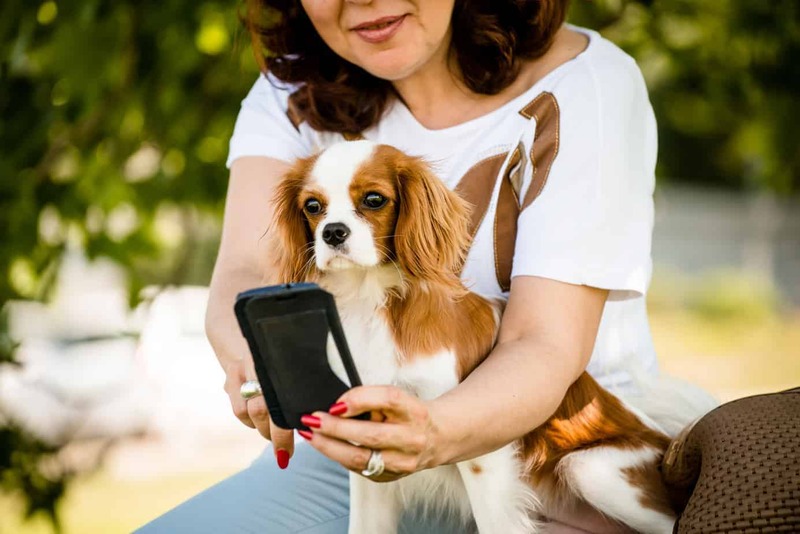 The chips only work if your lost dog is taken to an animal shelter or a vet’s office where the dog can be scanned, so they have your contact information. Even with a microchip, it’s important to make sure your dog wears a tag with your contact information or a collar with the dog’s name and your phone number embroidered on it. Again, keep that information updated with any changes to your contact information. While you don’t like to think your dog could get lost, it does happen. Even with the most secure yard, a gate can be left open. Reduce your stress by being prepared. 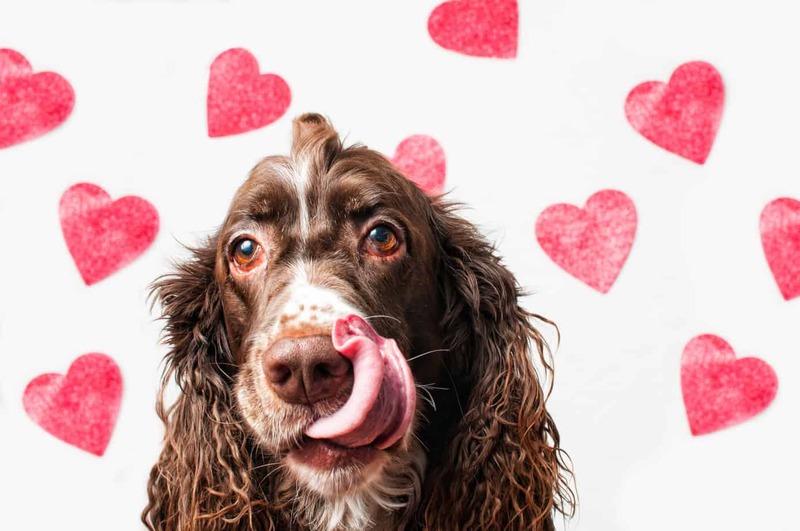 Be sure you have a photo of your dog you can quickly use to create social media posts or lost dog posters. It’s also a good idea to know the phone numbers for nearby shelters and animal control so you can alert them if your dog is lost. And be neighborly. If you spot a lost dog, do what you can to get it home safely. I’ve called owners of lost dogs who came and picked them up and once even put a dog back into a neighbor’s backyard. 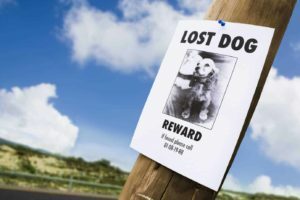 While using social media or putting up lost dog posters is a great way to bring her home, it also opens you to potential scams. To protect yourself and your dog, Consumer Affairs recommends you only provide the most basic information on posters and social media posts. Most important, be wary of anyone who claims to have your dog and demands money for his return. Scammers will call, or text lost dog owners using information from those helpful posters. 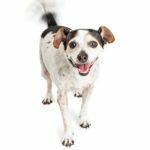 Ask questions to make sure they have your dog — does your dog have a distinctive marking not readily visible in the photo or some other critical identifying marker — then set up a place to meet where you can get your dog back. If you offer a reward, never pay anyone until you have your dog safely back. The truck driver scam: A person claims to be a long-haul truck driver who found your dog. 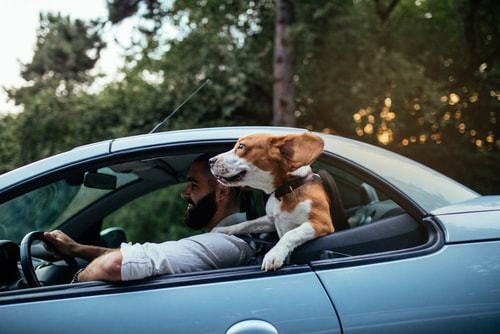 He’ll ask you to send or wire money so he can ship the dog home or boarded until he can send your pet back with another driver traveling to your area. 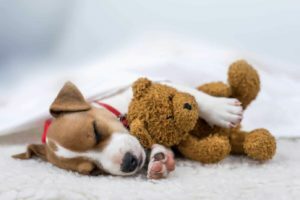 Tag team scam: One person calls saying they think they have your dog and ask you for more information. Once you provide vital details, the person will apologize and say they don’t have your dog after all. 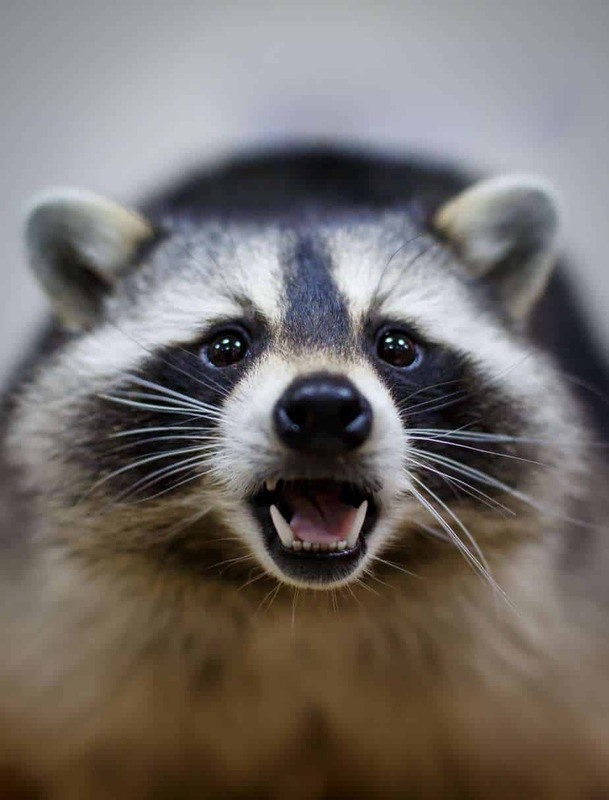 The second scammer then calls with the helpful information you provided to the first and will attempt to collect reward money before returning the dog. Airline ticket scam: The caller claims your pet somehow ended up in another state and wants money to buy a plane ticket to ship her home. Got a wanderer? If your dog is the master of sneaking out of your yard, consider getting a GPS tracker. It’ll give you greater peace of mind and help you track down your Houdini. Attach Whistle wearable tech to your dog’s collar and track her with an app on your phone. Or use a Link AKC smart collar that monitors your dog’s location using GPS, Bluetooth, Wifi and cellular data. 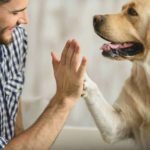 Want more news to help keep your dog healthy?